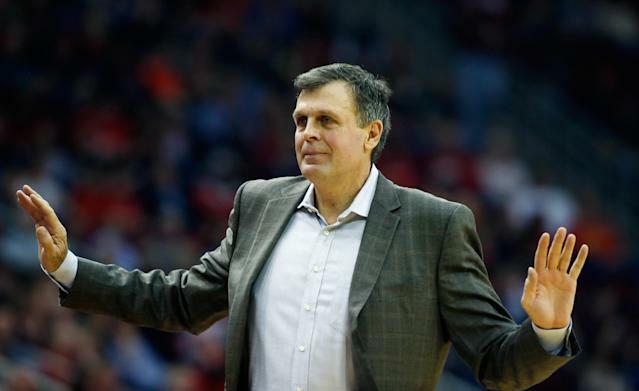 Houston Rockets coach Kevin McHale has agreed to a three-year contract extension, league sources told Yahoo Sports. The three-year deal is worth nearly $13 million, league sources told Yahoo. McHale had been in the final season of his original four-year contract and completed an agreement on a new deal on Wednesday morning, sources said. Under McHale, the Rockets are 20-7 to start the season and stand fourth in the Western Conference standings. McHale, 57, was hired by the Rockets as coach in June 2011 and has a 153-104 record in three-plus seasons with them. He has reached the playoffs twice as Rockets coach, losing a six-game, first-round series in 2014 to the Portland Trail Blazers. Houston has improved considerably on the defensive end this season, an accomplishment with which assistant coach J.B. Bickerstaff has played an important role.